First time Hosting with them. I asked for a Testserver and they directly set me up and even helped me to possible fix my gamemode. The serve runs stable the support is quick and tbh i never found a hoster before with such a quality in all categories! And that for a Price which make you think its a Scam :D but its not! If you need a Hoster for a Game THIS is the place to go to! Good services, just a few kinks. Hello everyone, I have got the opportunity to use a 3gb Minecraft server as a trial. I am here to write a review on my PERSONAL experience. PERFORMANCE: Overall the performance of the server was pretty good, however, it took a long time for me to connect to my server although I get about 60ms, so they must use a lower network port. (3/5) SUPPORT: Although their support isn't the bests support out there, it is outright amazing. They respond within hours, and maybe even minutes. I have made several tickets, and it is always solved within 2 hours. (5/5) PANEL: As you may know, they use there own custom panel for there Minecraft servers. Their panel is... well... decent. It has a meh design, however, it is fast. I like the look generally, however it could use some work. Speeds are very good, however, there are some bugs that need to be sorted. They do have a modpack installer, with plugins, however, it isn't up to date. This panel does start and stop the servers VERY fast, within seconds. (3/5) OVERALL: My overall experience was pretty good. Everything was amazing besides the connectivity, some features of the panel, and pricing. There pricing isn't bad, however, it is a bit more than most people want to pay. I think if you decide to use this host, you won't be disappointed. After experiencing issues with previous providers, Nitrous Networks has been a breath of fresh air. Their servers and network are top-notch with very low latency and solid hardware, but more importantly, their service and customer support are quick, responsive and very helpful. Fantastic company! We've been having Nitrous Networks host our Ark SE - Aberration map for several weeks now. Our international group agrees: Great ping, no lag, exceptional customer service. We've had one hiccup updating a mod, and it was cleared up in very short order. Highly Recommended. 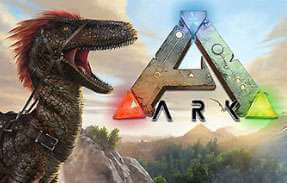 I've been playing Ark on a server hosted by Nitrous Networks and there has been very low ping, no crashes and no lag whatsoever. Customer service has been excellent with very quick turn around on an issue we had with a mod. Awesome host that I recommend wholeheartedly. I've rented game servers for about a half dozen different games over the past few years, ranging from hosting a handful of friends to a few dozen strangers, and I wish the experience I'd had with other companies even came close to matching the one I've had with Nitrous. Extremely fast and competent response times on the customer service end, minimal latency and excellent performance on the player experience end. An excellent hosting platform at a reasonable price. This is a good server host. They respond to your problems quickly and they get the job done. Greatest game server hosting. With great support. Respond to ticket is super fast! amazing. compassionate and caring about their customers. don't worry about their customer service, it's absolutely top notch. fast, responsive, caring and understanding, these guys have got it all. 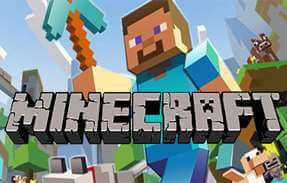 their minecraft servers are impeccable and i would not hesitate to recommend them to anybody i know. i dont have a single bad thing to say about them. I've had a couple of problems (my own fault) with the servers, and the response time with the support is brilliant, the servers are very fast. You really can't get better than this, the customer service is second to none. The overall experience and value for money is truly something that cannot be beaten! I have used nitrous networks for many servers now from Gmod to Minecraft. They are simply the best, nicest and easiest to use. They offer great support and easy setups. Only downside is just server lag but if you talk to them they can fix it for you. 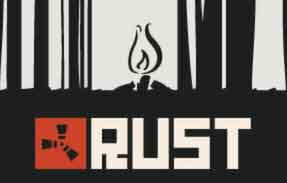 This is a fantastic place to come to host your own Gmod, Ark, Rust and more servers. The key component that keeps this company at the top of my favorites, is their customer service. This is because they will respond to any ticket you make quick and with helpful answers. In the end you will get your problem fixed. I like that when you can have server that low price. I paid 15.00e from gmod server just only 3 months. Keep doing the great job!! Absolutely solid hosting, I've not had many problems with my minecraft server, it runs perfect 100% of the time, no lag, no bugs, any tickets I've had to put in were due to my own mistakes, and were usually answered within 10-20 minutes of me putting in the ticket (Often for low priority issues too) I would highly recommend this server host to anybody else looking to start any gaming server, the setup is near-instant, and the customer service and benefits you get with the servers is absolutely outstanding, 5/5 all the way. Have been with Nitrous Networks for over 4 years now. I've have many server with them for many different games. The hosting is perfect 99.9% up time for most of the servers I've owned. The support is fantastic they speak to you not as a customer but as a friend.. always willing to go that extra mile to give you that extra help. 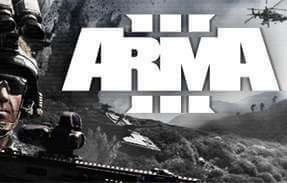 I would recommend them to anybody who is after a game server host or even a Dedi.. I heard about Nitrous Networks from a Rust server owning friend who had some problems with DDoS attacks on his old host, and I was impressed when Nitrous sorted it all out for him when he moved to them as they offer full DDoS protection. That's when I decided to give them a try and I'm glad I did. So I give 5 Stars for Nitrous all round, they're great and their customer support is excellent. I had a weird FileZilla problem not displaying some directories, and they had the patience to work it out with me. As a bit of background, I have another Rust server on a VPS with another host which is based in the same datacenter and it costs me 3 times as much as the NN server does. The difference is the Nitrous Networks server is much more responsive and has less then half the ping of my VPS. I've yet to see the annoyance of lag spikes and I don't expect I ever will. All in all, this means I'll probably be dropping the VPS with the other company next month. Thank you Nitrous. They are fast to answer your support tickets. Also very good hosting service very good choice to go with if you need it. Even though I know nothing about setting up websites and ips I was able to do it soley because of these guys, all the time they provided great support so would 100% recommend this company. They also have excellent servers(I have no lag) and pricing(for what you get). I have been with these guys on and off now for 3 years and have had virtually no problems. I was server by two employees named Jacob Stephenson and Jordan Bryant they helped me with to push the payday for th server to next month when i didn't have afford to pay the bill. Thumbs up for the support and help! I've been using Nitrous Networks servers for many years now and I've had nothing but excellent service. Their support teams are always around to provide top notch support and their servers are rock solid! Great company. I ordered a 20 slot garrys mod server. A week later we started experiencing random crashes that I could not figure out the cause of. I sent in over 5 support tickets telling them that I checked very carefully to make sure it wasnt my end. Turns out I had been placed on a server that had not 1, but 2 huge problems. The cpu was idling 24/7 and the motherboard fried shortly after the cpu bug. Its amazing that my data is still alive. The support took over 3 hours for a single ticket telling them that my server was down and I couldn't restart it. Highly don't recommend this host. Save yourself the money. I wish I could have read my own review before purchasing. Almost instant response 100% of the time, server runs great and all the staff are friendly! 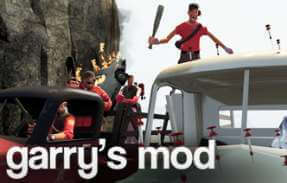 Great host for garry's mod!!!! The 128 tick CS:GO server that I rented is awesome! It has never crashed or ever start stuttering it works brilliantly! The support (if you ever need it) is one of the best I've encountered, they reply quickly (within the hour from the time I had to open a ticket) and are very helpful with whatever help you need. 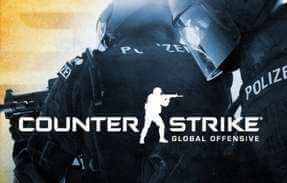 I'd highly recommend them if you need a basic 128 CS:GO server for team practice or whatever. Honestly, the biggest thing about this company is the support. The support is so fast, and so reliable. Had a response within half an hour, and when I wrote back, I kept getting responses back within 10 minutes. 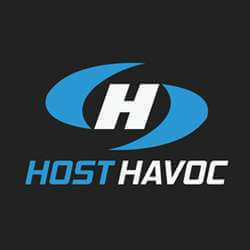 This is the BEST server hosting company out there. Excellent Performance & Customer Service! No problem is too big or too small. Always willing to sort it out. Would 100% recommend to anyone! Any server disruptions are well advertised via their Twitter, and they always respond quickly to any query. They will always be my first choice when I want servers. No issues with the host, never been let down. Extremely speedy setup on all of our servers, immensely fast customer support that go out of their way to keep your servers up and secure. Will, have, and would recommend to all wanting to start their own game server. Great with support, I used them on and off for over a year there good and cheap, best host out there imo. Excellent server stability, even under extra load. Support tickets are answered very quickly. Just fantastic overall. I ordered a CS:GO server and it was setup instantly. The Game Panel isn't very good in my opinion as I was unable to change tickrate in a dedicated line and had to add it in a separate lone (command line offers a template but I had to add -tickrate 128 to the map line). I would've also liked to see the server come with the option to have eBot setup for you from the start (DatHost provides this). However, I do have great uptime and high performance on my server. The customer support is great. Their average response time is 32 minutes which is very impressive for any ticket service, but I found most my tickets were answered in around 10 minutes. My server came with optional 90 day free Engine premium AND a free Mumble server for the same slots as my game server for as long as I pay for my game server. Nitrous Network's pricing isn't the only thing that is competitive, their customer support and DDoS protection is too. My server has never been down (not that I've noticed anyway). I am using the Bristol, UK data center which is privately owned so I can't say the same for those with a Kansas City server or a Falkenstein server. I definitely recommend Nitrous Networks to those looking for a server in the UK, Germany and USA are worth a shot but I can't confirm that they are as good as UK. Custom support is relatively good with a few bumps but the server/ddos protection is horrible. I would get DDOS'd everyday and the DDOS protection wouldn't work. The server would lagg if it had 50 players. Currently asking for a refund of £30 which they're refusing to give. Do not go with them, save your money and time. I've been working with them for couple of months. Nothing to say, both servers are working at high standards (virtual servers / dedicated servers and gameservers). I have some cs:go servers but I want to try RUST and other gameservers. I will recommand this gamehosting provider. Nothing short of top tier service. So I've had a few servers with Nitrous Networks for just under a year now, and I do not regret my choice. What would have cost me the best part of £60 on other hosts, has only cost me £20 per month for some 32slot TF2 servers and webhosting (with a lot of extra tidbits too!) As for support, I really appreciate it when a support team is able to adapt to your level of technical prowess, and instead of going through the whole "have you turned it off and on again" routine, you're able to troubleshoot causes right away instead of wasting time, and it's nothing short of quick answers (within 30 minutes mostly!). Overall, someone should buy these guys a beer every now and again for the work they do, since it's nothing short of amazing. Nitrous Networks are a great hosting company. They provide great support all the time and I have never really seem to have ran into a problem with them. 10/10 Support, would definitely go back to for that alone. Good reliable servers to go with it. Happy to help, fast responding, Smart, Formal People. Would recommend. Also have high quality, reliable servers with great Anti-DDoS! They Help 24/7 that's a really great thing, the staff are good and know their thing, Really good and awesome host ! After using Nitrous for a good year or two, I've never had any issues with server downtime, performance and/or customer support. 10/10. I love nitrous Networks. They have faith in the Custommers. I have been using them for nearly 6 month's and they helped me whit every single problem that accuered, Even if the host wasn't them. Now why would you help another service than you own? Becuase you "Give a daum" about gaming. That having a server is not allways easy. And in helping others. This showed me alot. I hope we can keep having this kind of support. That is mainly my reason to be here. They are gently. And help in really any case at all. The staff at Nitrous Networks were quick to jump in when I had problems with garry’s mod. I sent 2 tickets and a good explanation on how to sort the problems out myself was sent to me as I was wanting to edit things myself. Very knowledgeable staff with a very friendly attitude. Their Customer service gets a 10/10 from me. The prices are great and so is the customer service. 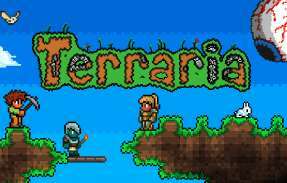 I paid an extremely reasonable price to host a terraria server, and when I didn't understand how to change the world or add mods, the staff helped immensely and did it all for me, all while being very polite. 10/10 website. This is literally the BEST server provider i ever had, great server support, high performance, good DDoS protection and good prices! Good server hosting, quick and reliable. Nitrous Networks is a great business and has already helped me and my community over the past few months.They have really quick ticket times and their servers are by far the best I have ever tried. I only paid a couple $$$ for my server and the support has more than exceeded the initial price I paid and they have not asked for a cent more. If you're looking for a cheap but great service then I would choose Nitrous Networks. Good Server Hosting in the UK. Nitrous-Networks are one of the best hosts that I have used in the UK. Not had any issues in terms of lag or support. After contacting their support team about changing provider they were more than happy to supply all of the information that I wanted to know before changing to their services including the company background. Very good service. Their prices are so cheap it's unreal. It's crazy the amount of features and support they offer for such a low low price. I wasn't expecting much for the few pounds I spent on my server. But I was surprised when they offered me tons of extras without ever asking for extra cash. Really good host with a great following. Check them out. 3 months have been great since I switched to Nitrous Networks from another host. Servers are continually up and running without any problems “apart from the odd lag during peak times on my server” other than that everything has been just fine. 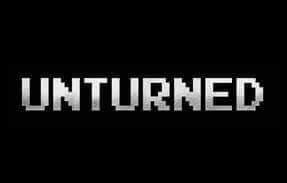 I have a dedicated Tekkit server that I have been running for 2 months now on their Gold Tier plan and I can honestly say that I can give their service a huge thumbs up for both support and up time. My server is yet to go down and I have had a quick response to any ticket that I have put in over the 2 months. With a quick and easy to use control panel I can’t see myself changing hosts anytime soon. Nice Job Nitrous. Jordan and Harry are great at what they do. They are both great guys to talk to and have often sorted and problems that I have had on my servers in the past. It’s great to see that some server hosts actually care about the people that use there service and are more then happy to help you by any means possible. Great Host, Great Service, Great Support. Nitrous Networks have been a really helpful since I first set up my gmod server. They have been great with customer service and have always been able to solve any problem have chucked at them since I started. I would say that they are one of the best hosts I have ever used and I often recommend them to other people watching my twitch channel.